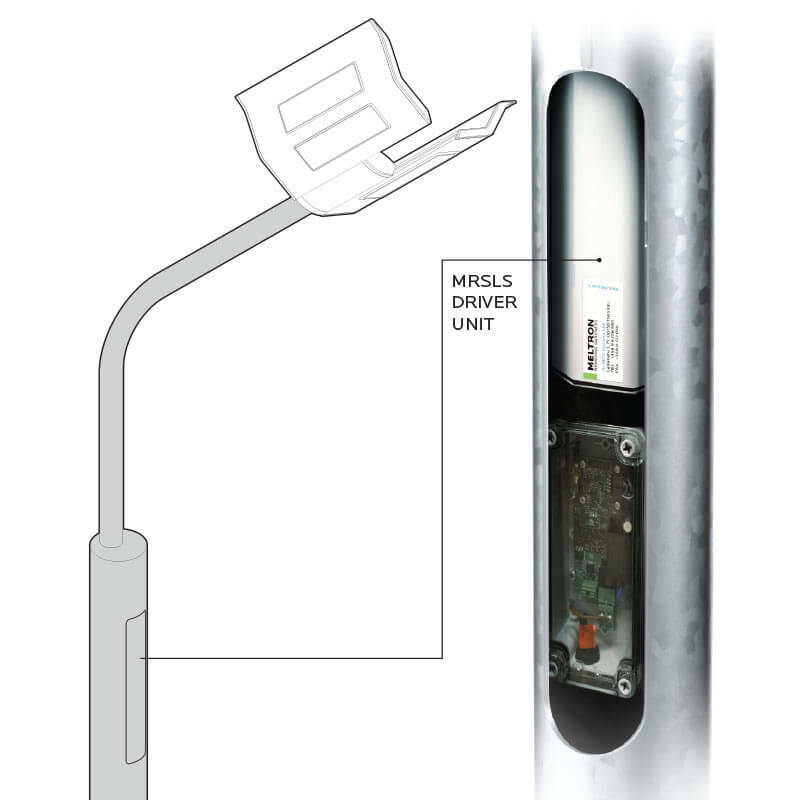 The driver is located in the base of the pole for easy maintenance access and a lighter light head unit. This entry was posted	on Thursday, November 27th, 2014 at 14:58	and is filed under . You can follow any responses to this entry through the RSS 2.0 feed. Both comments and pings are currently closed. Meltron has been involved in the lighting business for the past 30 years and have almost 20 years of experience in the R&D of LED lighting. As power consumption and maintenance requirements are reduced significantly, Meltron LED lighting is both an economical, and environmentally friendly choice for your lighting system. Quality of light and superb efficiency in lighting that requires virtually no maintenance, Meltron provides superb value.